Episcopal (affirming the polity and doctrine of the Anglican tradition). Always a relatively small seminary, RES received ATS accreditation (no small feat - many larger seminaries lack such accreditation) in 2013. 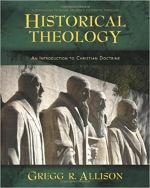 RES breaks down its academic structure in three departments: Old and New Testament Theology; Dogmatic, Historical & Confessional Theology; Pastoral Theology. Under these three categories, the seminary offers quite a few courses for its roughly 30 students. Currently, RES offers the MDiv degree only. RES takes the training of its students for the ministry very seriously, seen in the school motto "We are ambitious to be well-pleasing unto Him" taken from II Corinthians 5:9. The seminary community holds chapel daily, and the Eucharist is celebrated weekly. As part of its mission to develop professionals for the ministry, students are expected to dress accordingly, so a dress code is enforced. As a small campus with relatively few students (around 28 or so), there are no formal student clubs or activities sponsored by the seminary. 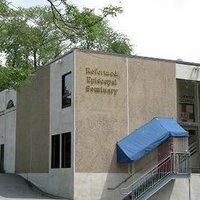 You won't find an onsite student gym or theater; however, the seminary is less than an hour away from Philadelphia and relatively close to New York City as well. So, if you need to get away from your books and cassocks, it's really easy to do so. Because RES has a relatively small student body, there are not many options to choose from regarding seminary-sponsored housing. In fact, there is only one option for students who wish to live in seminary housing - the seminary dorm house close to campus. Rent is a moderate $400 for a single room plus utilities. As part of the rental agreement and to help build community amongst one another, residents are expected to participate in the upkeep of the seminary grounds. RES offers numerous scholarships for its students, offering anything from full to partial tuition. Students who receive scholarship funds are expected to work part-time during the school year as part of their financial aid package. Scholarship assistance is available only for tuition, not room and board.